State Department uses unusually harsh language when criticizing Israel’s approval of 2,610 homes in Jerusalem. The U.S. State Department used unusually harsh language on Wednesday when criticizing Israel’s approval of planned construction of 2,610 homes in Jerusalem. The housing units, which have been slated for construction since 2012 in the neighborhood of Givat Hamatos, were given final approval last week. Reacting to the move, the State Department warned it would call into question Israel’s commitment to peace with the Palestinian Authority. According to Reuters, State Department spokeswoman Jen Psaki said the step would also send a “troubling message” if the Israeli government proceeded with tenders and construction. 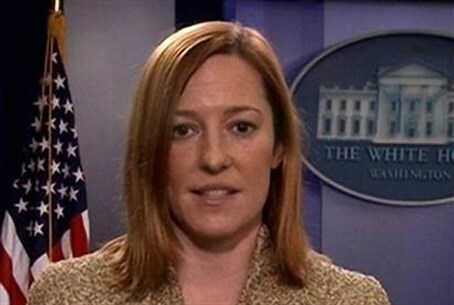 “This development will only draw condemnation from the international community, distance Israel from even its closest allies, poison the atmosphere not only with the Palestinians but also with the very Arab governments with which Prime Minister (Binyamin) Netanyahu said he wanted to build relations,” Psaki was quoted as having told a briefing. In addition, it would “call into question Israel’s ultimate commitment to a peaceful negotiated settlement,” she added. White House spokesman Josh Earnest said on Wednesday that President Barack had Obama told Netanyahu of Washington's deep concerns over the Israeli move. Obama raised the development in face-to-face talks in the Oval Office, Earnest said. "The United States is deeply concerned by reports the Israeli government has moved forward" with planning for construction in a "sensitive area" of eastern Jerusalem, Earnest said, according to AFP. Earnest warned that the project could distance Israel from its "closest" allies and that Israel would send a "very troubling message" by following through with it. Information about the approval of the construction was disclosed earlier Wednesday by the extreme leftist Peace Now movement, whose spokeswoman Hagit Ofran told AFP the government could now publish tenders for the project, but that it would be months before building actually began. The timing was a political decision, Ofran said, but the exact reason was unclear. Housing Minister Uri Ariel (Jewish Home) explained on Army Radio Wednesday that the decision was part of "the normal process of authorization necessary before any construction project in Jerusalem." Palestinian Authority (PA) officials cried foul, however. Hanan Ashrawi, a leader of the Palestine Liberation Organization (PLO), slammed the Givat Hamatos plans, accusing in a statement that the Israeli government was more interested in "stealing land than making peace." The announcement surfaced just hours after Housing Ministry figures revealed that the housing crisis has deepened - in no small part due to a "covert" building freeze in Jerusalem, Judea and Samaria.